Gertie Reece Foy is 100 percent not-from-concentrate awesome. She has a daddy who works on an oil rig, a great-aunt who always finds the lowest prices at the Piggly Wiggly, and two loyal best friends. 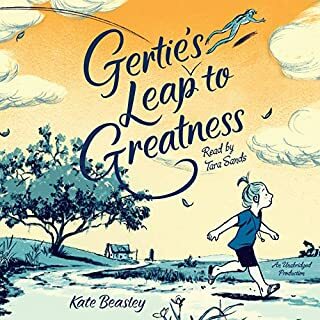 So when her absent mother decides to move away from their small town, Gertie sets out on her greatest mission yet: becoming the best fifth grader in the universe, to show her mother exactly what she'll be leaving behind. my favorite characters would have to be: jessica Walsh, has the, Jr., and Jean it was a very good book and I DEFIANTLY recommend it.